Bake the fluffiest, lightest classic sponge with our simple to use sponge cake mix. 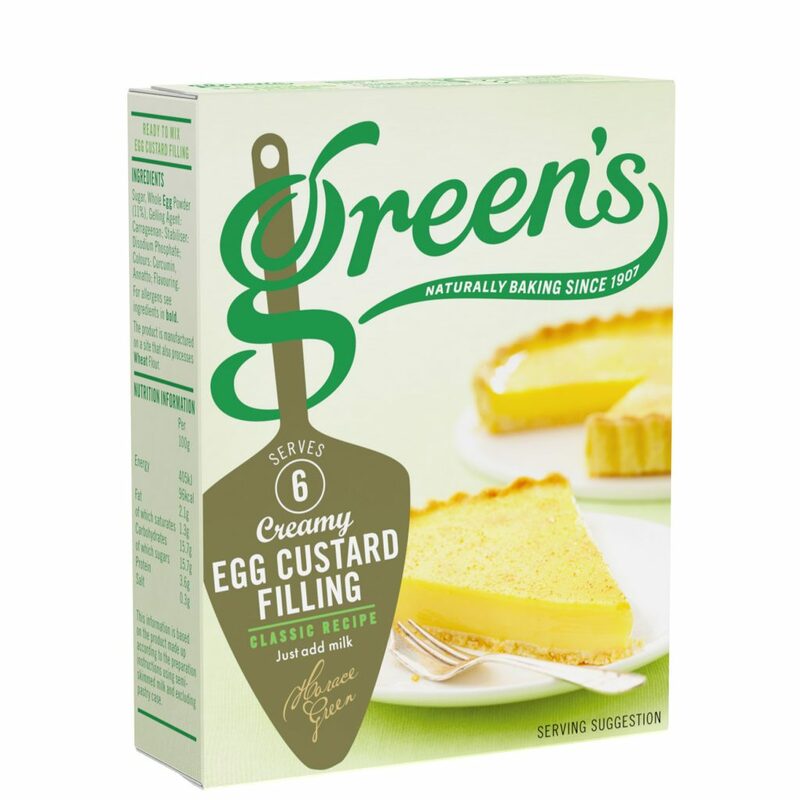 With Green’s and a sense of fun you can create a range of irresistible recipes including classic Victoria sponge, Lemon Drizzle, Coffee & Walnut and even Pineapple Upside-down cake! Use the vanilla sponge cake how you please, we know you’ll love it. Sugar, Wheat Flour, (Wheat Flour, Calcium Carbonate, Iron, Niacin, Thiamin), Dextrose, Raising Agents: Sodium Bicarbonate, Monocalcium Phosphate; Skimmed Milk Powder, Maltodextrin, Emulsifiers: E470a, E471, E472b, E472e, E477, E482; Stabilisers: E450, E466; Flavouring.